Marilyn Sappington is married to Jim, and has one son, Mitch, and daughters, Brandi and Casey as well as 3 Grandchildren, Brayden, Deuce, and Brody. Marilyn holds a Bachelor’s degree in Education from Delta State University, and taught elementary school. She also holds a Master's Degree in Education from the University of Mississippi. 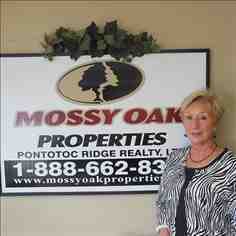 Marilyn has been in the real estate business since 1987 and is a Real Estate Broker with Pontotoc Ridge Realty/Mossy Oak Properties and a Certified Residential Appraiser. She likes to play golf, fish, and travel.